Do you ever have fights over water in your household? Sometimes, there is a mini war in front of our current pagoda fountain, all because Ivi wanted to drink at the same time as Reya. By the time the battle is finished, there is water all over the floor, and a nearly empty fountain as they try pushing the other out of the way to drink. My husband and I both knew we needed a better solution, especially since we have limited outlets in the kitchen for their main water dish. After having so much success with Drinkwell Pagoda fountain, we decided it was time to upgrade to a larger fountain with a second malamute in the house. 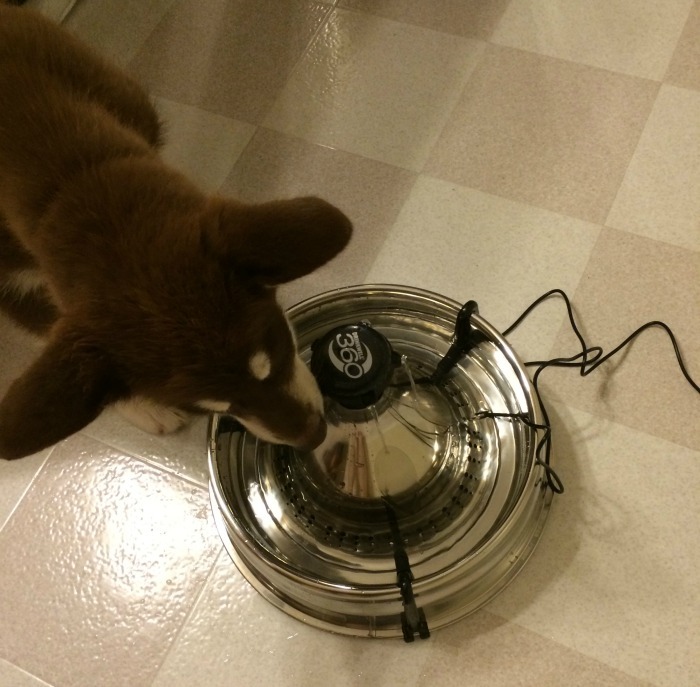 Luckily, we found the perfect solution – the Drinkwell 360 Multi-Pet Stainless Steel Fountain. Drinkwell 360 Multi-Pet Stainless Steel Fountain: What is It? Looking for the perfect fountain for a multi-pet household? If so, we think you will love the Drinkwell 360 Multi-Pet Stainless Steel Fountain. This vegetarian designed, stainless steel fountain holds 128 oz (1 gallon) of fresh, filtered water that comes from free falling steams, enticing your pet to drink, and aerating the water to make it as healthy as possible. Using an activated carbon filter, the fountain removes bad tastes and odors from water, making it some of the best drinking water in your house. As well, the 360’s multi-stream, circular design allows pets to drink from any angle, making it possible for different pets to drink at the same time without getting in the others way. To learn more, check out the informational video below! When we first set up our fountain, I have to say, I was a bit unsure. It was a bit different from our pagoda fountain and I was worried that the multiple streams would actually be a huge mess once the dogs started using the fountain. To my delight, however, the streams and how quickly they run are something you can control, allowing us to make the fountain go as slow or fast as we liked, making it perfect for our hyper dogs, especially when they come in after playing outside. Along with being functional and holding A LOT of water, I also love that this fountain looks just as fashionable as our pagoda fountain, actually matching our stainless steel kitchen a bit more than our white fountain. Now, we are planning on moving the old fountain up to our spare bathroom and keeping this as the main household fountain for the dogs. Really, I consider this fountain a must for any household with multiple pets, especially dogs. 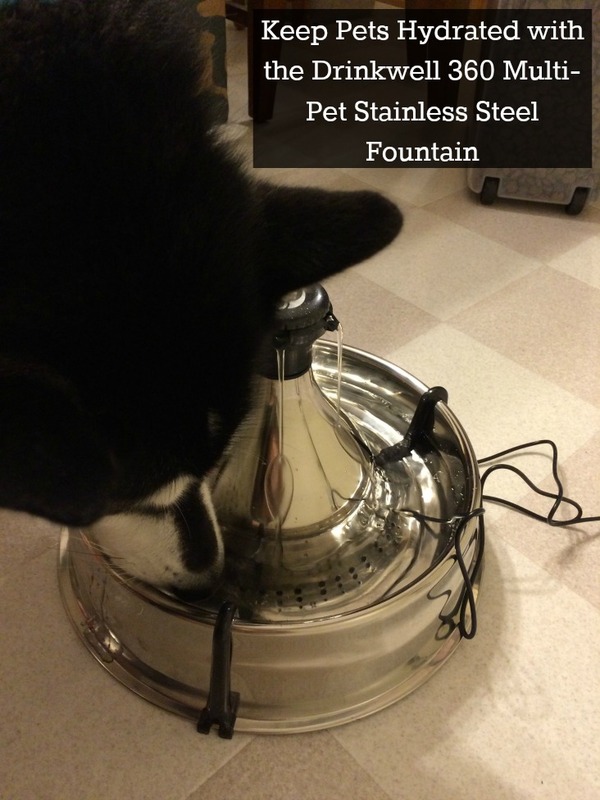 Based on our own experience, I am delighted to give the Drinkwell 360 Multi-Pet Stainless Steel Fountain an A+ rating and highly recommend it to our readers! Want to purchase this awesome fountain for your own pets? 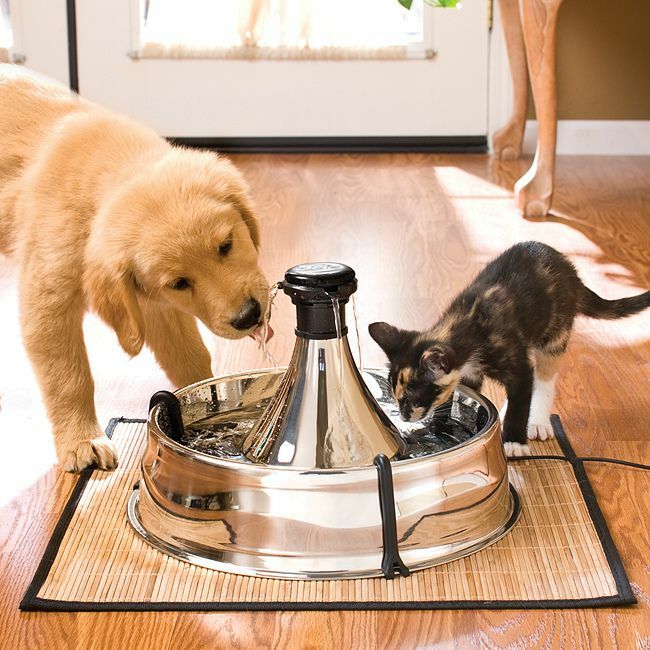 You can buy the Drinkwell 360 Multi-Pet Stainless Steel Fountain for $99.99 on the PetSafe website. The Drinkwell 360 Fountain is just what I need for my cat, Ziva. She, or one of the kids, is always knocking over her water bowl and spilling it or someone is stepping in it. I think the fountain would solve that problem. I would love to have one of these for my dog! This fountain would be perfect for my cat. I have often thought about getting one of these. My cat always seems thirsty! I do everything I can for her. I really think this would be a HUGE help! Thanks so much for the informative review! This is definitely a way to keep the pets out of the bathroom. Also, it would be good for them to stay hydrated and entertain them as well! I love the look of this! My dog Bunny loves fresh water…this would be perfect for her! I really need this for my cat! My vet told me when I brought my cat home from surgery that he needs to drink more water. She said get him a fountain. His urine is highly concentrated, and if I don’t do something to get him to drink more water, he’ll be right back plugged again. He almost died from it, so I take this very seriously. I would LOVE to win this for me and him. Thanks. Great Review. My cats will like this. I think my 3 cats would be afraid of this. If I put an ice cube into their water dish they won’t go close to the water until it melts! Can you get older cats to use this? It might just wind up being a sleep “helper” for my husband! This is so awesome!! My two dogs always want to drink at the same time. Also I just love the design! I think this is a great product! My daughter is a vet tech for the Army and she says that our pets should have filtered water. Definitely a great idea! My dogs and cats typically drink from the same dishes at our house. My dogs can be sloppy drinkers, though, and leave “backwash” in the water. I would prefer my cats not have to deal with that so a fountain like this sounds like it would be perfect for us. This looks incredible. Holding 1 gallon of water is a lot, and help to not worry about my dog staying hydrated as much. I think every dog should have one. I love the stainless steel finish and certainly the functionality of this fountain! We have two Boxer Chow-Chow Mixes, and our boy Buzz always has to be enticed to drink enough water throughout the day, so this fountain would be a welcome addition to our dog crazy household! We really love our Drinkwell Pagoda fountain. The stainless steel 360 fountain looks really awesome, too! I know that my kitty would love to drink out of this. This thing is awesome! I have 4 cats and they drink tons of water! They go through 2-3 large plastic butter dish a day! And one of my cats loves a faucet to drip so she can drink from it, sometimes even pawing at it to get to drip. This would be perfect for my cats! I never even knew they had these fountains. I have 3 dogs and 3 cats. This would be a blessing if I won. Otherwise I’ll find a used one. Thank you for a great review. Very cool. With 2 dogs and a cat this would be excellent. I have 5 water stations for my 3 pets (indoors and out) but only one fountain. The cat won’t use it if the dog is around to knock him over. He waits. So great! Every dog and cat needs this. Nothing better than keeping your animal safe and happy. Plus, it’s really nice to not be stepping in and knocking over a flimsy water dish anymore! My puppies would love this. It has been so hot this summer, and, of course, this means that they have been drinking a lot more water. I have 5 cats and just adopted 6 kittens. One of these water fountains would come in handy. I am constantly changing the water bowls, so they will have fresh water. What a fantastic idea for anyone with pets.this will make perfect gifts.thanks so much for sharing. The Drinkwell 360 Multi-Pet Fountain would serve my pets well. I have four dogs who each have a bowl of water. It would be nice to have one large drinking area. This sounds really nice.My cat drinks a lot of water so this would be perfect for him! I have two cats who both like to drink from the faucet. I have accidently left the water on dripping and it’s such a waste. This would be awesome for my fur babies. My cat would love this since she has always loved water. I don’t think she will be able to turn this over like she does her regular water bowl. My cats would love something like this. I think this is a great idea. The water in my dogs bowl accumulates a lot of “stuff.” I want to try this! Wonderful idea, especially if you have more than one pet sharing the dish, I have 3. 2 dogs and a rabbit, they all share same bowl even when I have 3 bowls. lol Thank you for your great review, it was very helpful. My dog likes to drink running water, she’ll love this. I think my cat will like this fountain, too. This is great. My dog would love this and so would I, knowing she has fresh water all day. my 3 gals would love this, since i have 3 water bowls all over the house and one on the porch. they wont drink water unless it is fresh. they look at me when it gets dirty from the food in their beards. I think my dogs would enjoy this. It seems no matter what I do, there’s stuff in their water bowl. I can see them drinking from the pouring water! I have 3 cats and they seem to all drink at the same time. It would be nice to have this product so they would not be so crowded at the water hole. We have a constant issue with keeping water bowls clean and free from yucky stuff. Keeping water moving constantly in this pet water fountain is a great idea! Love this idea, with hard water, this would eliminate the need for bottled water for the pets! With a 80 pound lab, who drinks lots of water he would always have fresh! The size and shape would also prevent him from trying to turn the water bowl into his own swimming pool. the other pets in our home would appreciate being able to drink! thanks! THIS IS A FANTASTIC MUCH DESIRED DEVICE. EVERY PET WOULD ADORE HAVING FRESH WATER AT ANY GIVEN TIME. 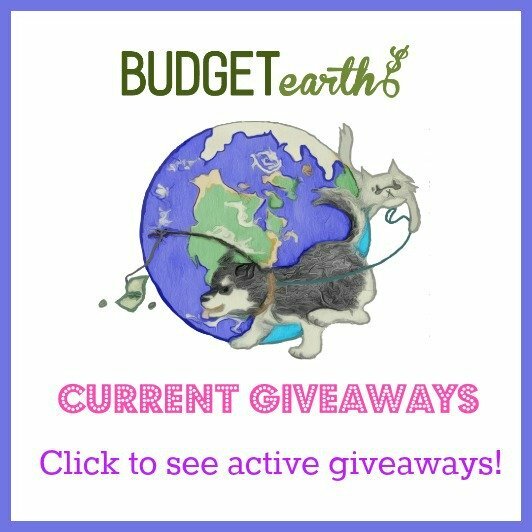 I AM AMAZED – ALL OUR RESCUE CATS & 3 OLD DOGS WOULD GREATLY BENEFIT! This is a great fountain and would love to have one. We have plastic bowls and have to fill our dog’s water bowl several times a day. We make sure he stays hydrated especially when it’s so hot outside. Love that this is stainless steel and is bigger than what we have. I absolutely Love this Fountain! My dogs drink soo much water during the summer & it’s hard to keep their bowls full all the time. Having a constant supply of fresh, clean water is just what they need. That’s so cool! I’d love to get one of these for my dogs. Drinkwell is a great company and manufactures quality products. i have a Drinkwell fountain for my two cats and they love it! Its very easy to keep clean and I have owned it for over 2 years. This stainless one looks really nice! This is a great idea. I have 2 dogs and one cat that would love this. I know my cat would be thrilled to stick her paws in this. She does it in her water bowl now so this would be a really nice treat for her to have especially. I really love this stainless steel fountain! It would look very nice in my kitchen and it would be wonderful to know that my dog has a constant flow of fresh clean water! I absolutely love this product. I worry about fresh water for my pets, especially in the hot summer! This fountain would be amazing and the perfect thing for my dog to have during the day when I am at work. Please pick me. This would be perfect for all my pets, but especially for the one cat who vastly prefers moving water. I can see this being a big hit at my house. This Drinkwell Fountain would be great for my two cats, might keep them out of the the birdbath. I would probably need a second one for the St Bernard. They don’t share much. This would be fantastic for my dog and cat. The cat always knocks over her water and the dog makes a big mess with hers. With 4 sweet kitties, this would be perfect. We have a smaller fountain for our one cat who has a depth perception issue and can’t see water unless it is running, but this 360 would be perfect for all of them! I have three dogs and two cats. While we have multiple water bowls scattered throughout the house, they all seem to prefer the bowls in the dining room. One of the cats places his front leg on the edge of the bowl, as if guarding or shutting out intruders as he drinks. One of my dogs always places her nose above and against the edge of the bowl as she laps at the water. I’d be interested to see how these two particular pets would react to the fountain. Great review! This fountain looks great and I would love one! Our cats are so picky, I have to refresh their water 5 times a day! It looks clean to me, but I guess not to them. I bet they would love this! I’m looking forward to trying out this one. Here in the south, the water needs to be moving all the time. The Drinkwell 360 Fountain is amazing I have 4 cats and 3 dogs and I know they would love it. I like that it hold 1 gallon of water too. This is awesome! I hope I win this. I would like to get one of these for my cats. My daughter has one and her kittens like to sit and stare at it, its so cute. That golden retriever is so cute. I love animals! I also love this technology stuff now a days it’s so cool this fountain water it amazes me. I believe my two dogs and three cats would enjoy drinking from this. I am assuming the cord is waterproofed for safety? I am also not clear on a couple issues such as how do you know when to add more water, Is the water constantly recirculated, and what happens when things such as hair or dog food get in the water – where do those things go? I am so happy to see a stainless steel fountain. Many of the fountains I have seen are plastic which I believe can cause allergic reactions plus are more difficult to keep sanitary. I am loving the Drinkwell 360! My dogs would truly benefit from this! Have to admit though, the electric cord makes me a little nervous as well as wondering where i would have to move their feeding dishes to be close enough to an outlet. Such an awesome idea for the dogs and cats!!! Having water running in front of them like this would encourage them to drink more water!!! The Drinkwell 360 Fountain is perfect for my dog. I always feel so guilty if I see his water bucket half full and will give him fresh water at least 2 times a day. I don’t like day old water or water that gets warm so don’t want him to have to drink it like that. I didn’t know that dogs needed to drink so much water. I have to watch their bowls or else the water is gone or stagnant. I don’t want to drink yucky water and neither do they. I would love to win this for my furbabies. I’ve been looking for a fountain for my animals and drinkwell will soon have my business. this sounds like a great product. my dogs would love to have this. My cat sits and waits for me to turn the bathroom sink on so he can drink from it. Something like this would definitely be an improvement from his stainless steel water dish which sits all day while I am at work. we are headed on a vacation soon. this would be helpful in keeping the cats hydrated, especially if we can’t find a sitter for each day. This would be perfect for my doggies! I have 10 cats at my house – we’re kind of the rescuers in our area. So this would be ideal in making sure all the cats get a chance at some fresh, clean water. I would love to have one of these! I recently learned that cats prefer their water source be away from their food source. Now I know why my cats always run into the shower when we’re finished! This fountain seems like a great investment – sturdy with flowing water constantly. I can’t even begin to say how amazing this would be for my pets! My dog makes a mess of his water bowl and our cats wake us up at 4 in the morning asking for fresh water. It’s nice to see a steel fountain, my parent’s have a plastic one and it stained pretty quickly. I like the look of this fountain it is classy. I have been considering a fountain because it keeps water so much fresher than sitting in a bowl. The Drinkwell 360 Multi-Pet Stainless Steel Fountain seems like it would serve it’s purpose very well. My 2 dogs would probably share this fountain with ease and not make a mess. This is really cool especially since I have 6 animals. I think this would help my cats drink my water which they need. I love that the water is being moved, not just sitting in the bowl. This is great for our pets.